The Armorgard FBC4 FlamBank COSHH Site Chest fully complies with all COSHH regulations for the safe storage of chemicals and flammables, Popular for external fixed applications where security is also an issue, Fully welded and tested sump base to prevent leakage. The Armorgard FlamBank FBC4 COSHH Site Chest features as standard ultra-robust 5-lever deadlocks with anti-drill plates on both sides and anti-cut rollers in deadbolt, Robust brass keys supplied, High and low-level ventilation to prevent build-up of fumes within the site chest and flame arrester gauze fitted on all boxes, Finished in bright red with relevant hazard warning signs fitted as standard. 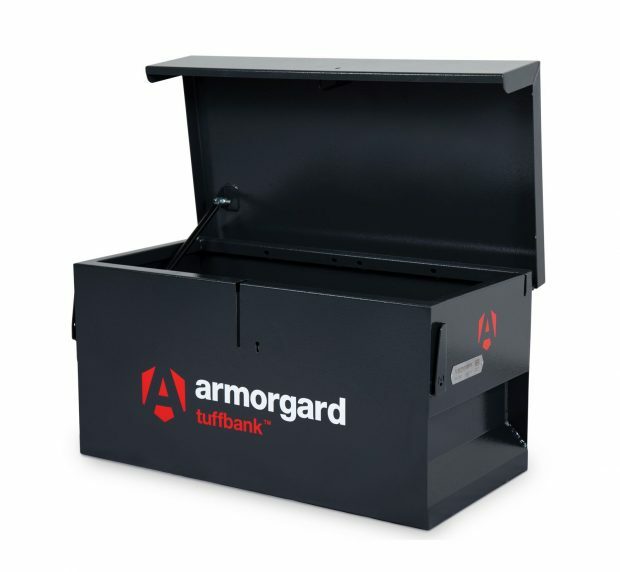 Armorgard Security Products are a leading manufacturer of secure storage solutions. Building on a reputation for quality, service and value for money, our industry compliant products provide the answer for the security and safety of tools, equipment and hazardous goods.